With its 31 delicious ice cream flavors, Baskin-Robbins continuously delights people across the globe, making it the world’s most beloved ice cream brand. 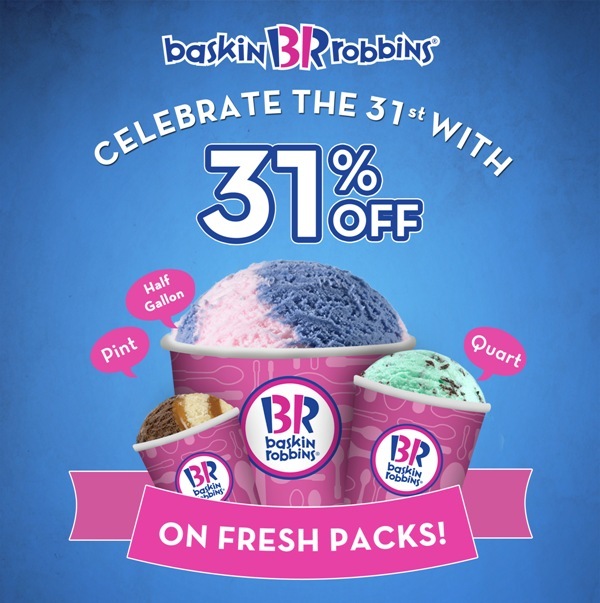 To bring more happiness, every 31st of the month, you can enjoy Baskin-Robbins’ fresh packs – pint, quart, and half gallon at a 31% price off. Mark your calendar and celebrate every 31st of the month. This is your chance to savor all of Baskin-Robbins’ 31 yummy ice cream flavors such as Jamoca™ Almond Fudge, Mint Chocolate Chip, Very Berry Strawberry, Cotton Candy, Love Potion #31, to name a few. Cheese lovers can now rejoice as Taco Bell, the world’s leading taco food chain, introduces Cheesy Beefy Melt, a new delectable treat filled with 100% real cheese. Indulge in the mouth-watering goodness of Cheesy Beefy Melt made with seasoned rice, seasoned beef, cool sour cream, and three (3) kinds of cheese—Monterey Jack, Mozzarella and Cheddar—all wrapped in a warm tortilla. Don’t miss out on this mouthwatering, cheesy delight from Taco Bell! Visit Taco Bell outlets at Gateway, Trinoma and Alabang Town Center. To know more about Taco Bell’s Cheesy Beefy Melt, visit the official website at http://www.tacobell.com.ph, or check out their official Facebook page at https://www.facebook.com/tacobellPHL and Instagram account @TacoBellPHL. It's a day to be thankful, it's a day to give back! 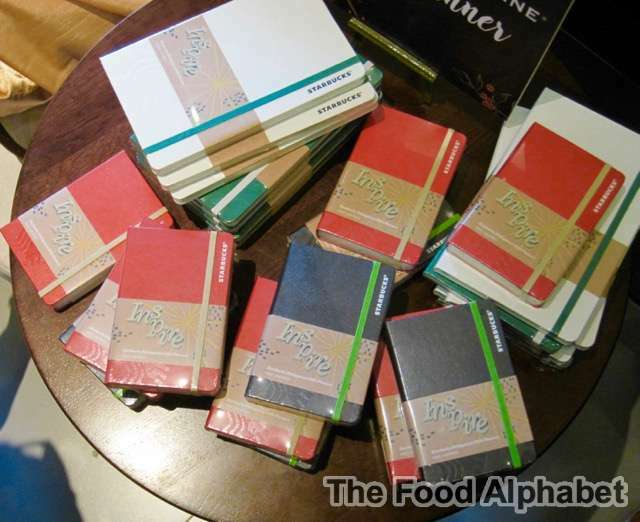 Thank you everyone for joining our Starbucks Planner Giveaway! 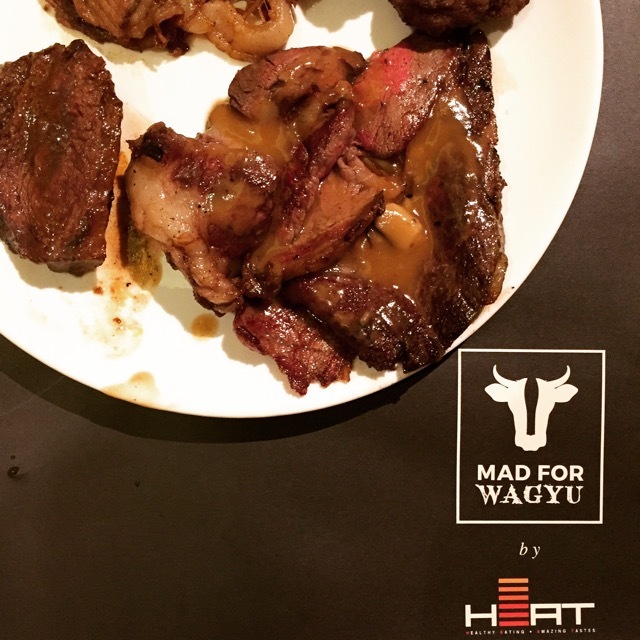 Get ready to "meat your match" with Heat's Mad for Wagyu nights! Excited? We sure are... just as we heard we were spending our Saturday dinner here at Mad for Wagyu, I have been dreaming for the day to arrive and finally after sleepless nights, I'm living my dream. I am ready for you Mad for Wagyu! 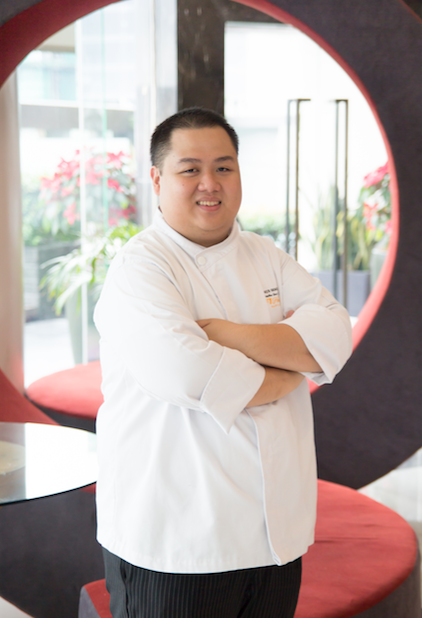 F1 Hotel Manila is very excited to announce its new head Chef, Timothy Decker Gokioco. The young and very talented chef joins the all-Filipino hospitality brand to put a stronger hold on the hotel’s contemporary yet authentic Filipino food and beverage offerings. Officially appointed as F1 Hotel Manila’s Executive Sous Chef, Chef Decker will be on top of the hotel’s daily kitchen operations. 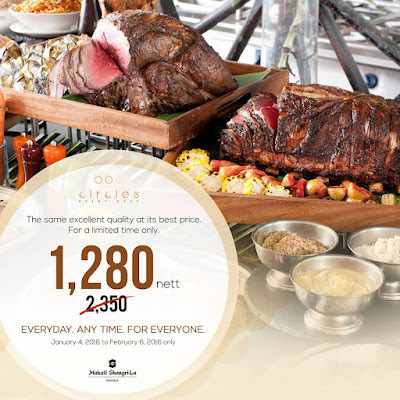 He will also be in charge of the lunch and dinner buffet spread at F All Day Dining Restaurant, as well as the Canary Lounge, banquet and catering menus. I personally know Chef Decker, and he is very passionate about his craft, and has only one thing on his mind, that is to bring great food satisfaction to every food enthusiast that comes his way. It's time for a feast! 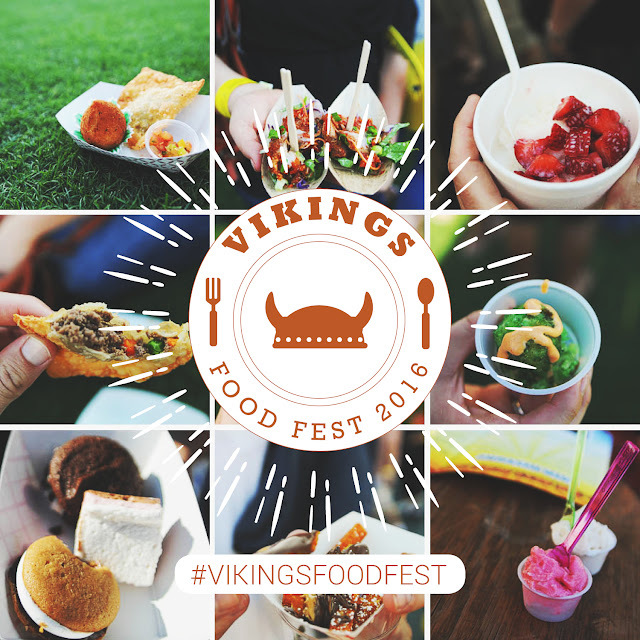 Fellow Vikings, we are so happy to present to you that Vikings will launch the ‪#‎vikingsfoodfest‬ this year! Each month, our stores will be giving away a special dish FOR FREE for the first 100 pax (for a limited amount of time) for one day only. 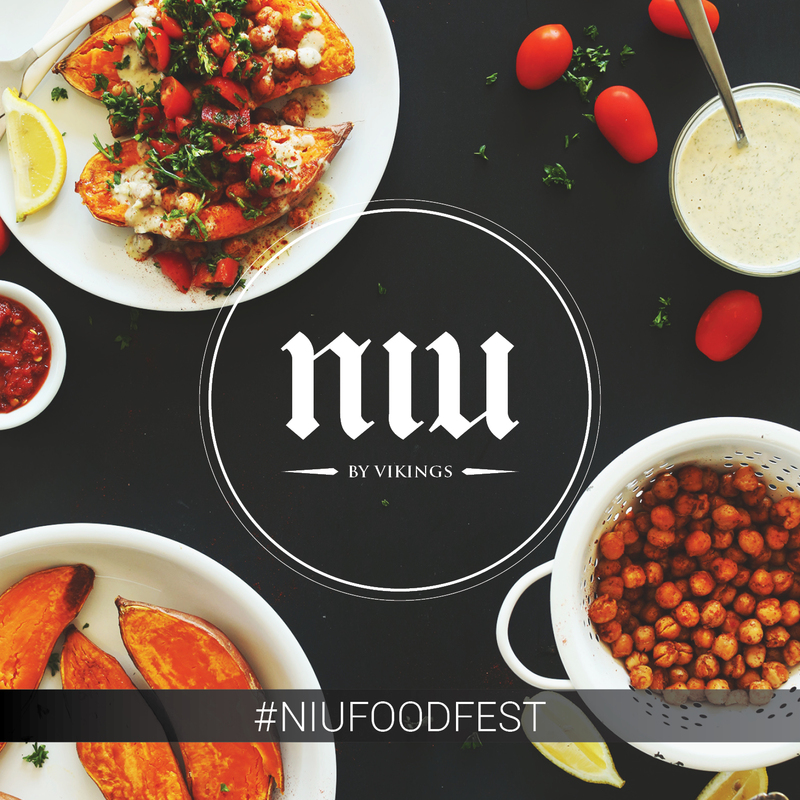 Each of our Vikings branches will be giving away different dishes but with one common theme (depending on that month's theme), so stay tuned on Vikings' Facebook page to find out about the theme and which day we're doing the giveaway! Enjoy the best buffet experience at Vikings and Niu by Vikings with award-winning great food selections you will definitely love, all the luxury and exquisiteness at a great price. 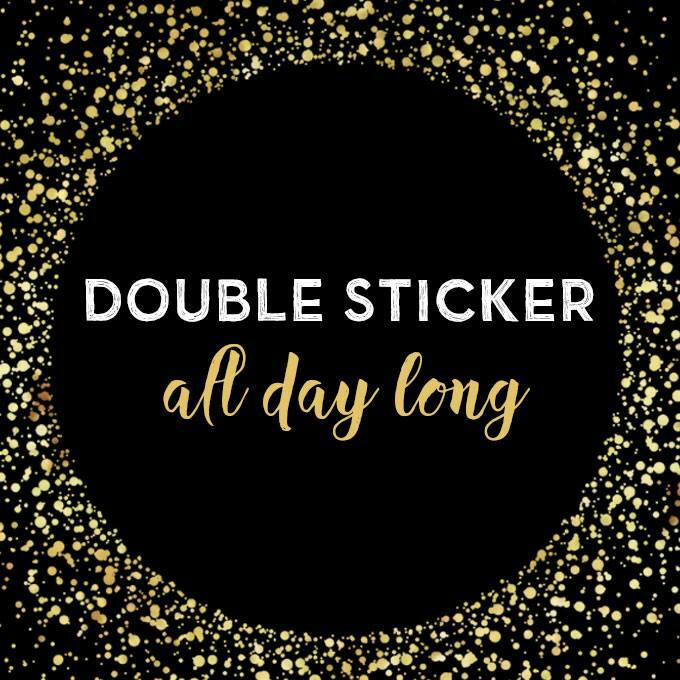 Double Sticker Planner promotion at Starbucks starts tomorrow!!! + A Starbucks Planner Giveaway for you and 3 of your friends! 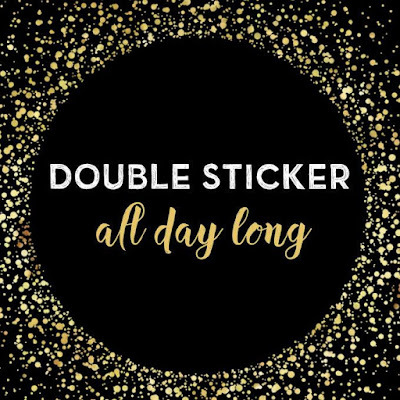 Double Sticker days at Starbucks! Happy New Year from Starbucks! Here's a new year treat just for you guys from Starbucks! They will be giving out two (2) planner promotion stickers for every purchase of a handcrafted beverage from January 5 to 8, 2016 all-day and they have extended the planner promotion until January 17, 2016! It's back!!! 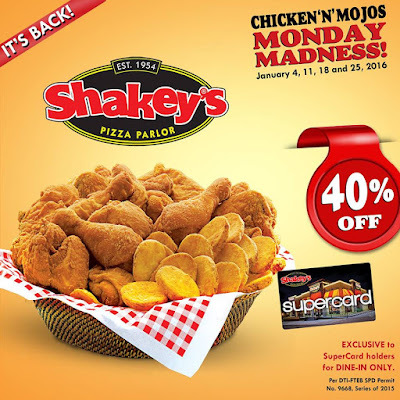 40% off on Shakey's Chicken N Mojos!!! It's Back!!! 40% off on Chicken N' Mojos Monday Madness! Yes it's back!!! After a super-duper successful offer last 2015, the Chicken N' Mojos Monday Madness is back! Get 40% off on your favorite Chicken N' Mojos all Mondays of January exclusive to SuperCard holders and for dine-in only! 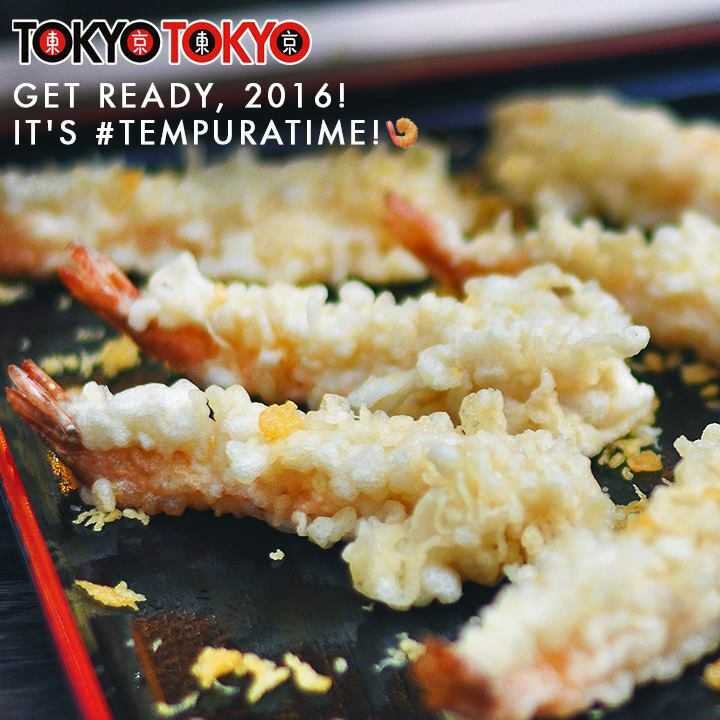 Remember the dates January 4, 11, 18 and 25, 2016! We're going to have busy Mondays at Shakey's!! See you there! Don't have a Shakey's SuperCard? Go today and get one now to avail of this great offer! And be updated on more promos.